Want to learn how to make easy fondant Santa's & other cute Christmas cupcake toppers? Do what many do after attending my beginners hobby workshops and Google for FREE!! Now that they know what fondant is and what to do with it, all my lovely attendees and friends have the confidence to Google Fondant Tutorials and unlock their imagination! 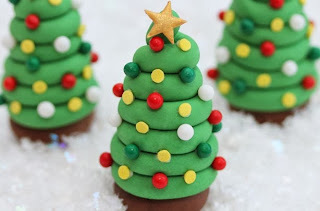 Here's some wonderful Christmas theme examples that I have reviewed of what's out there in cake web world! All links are included with each photo. If you find any easy to follow tutorials don't forget to share it with us! 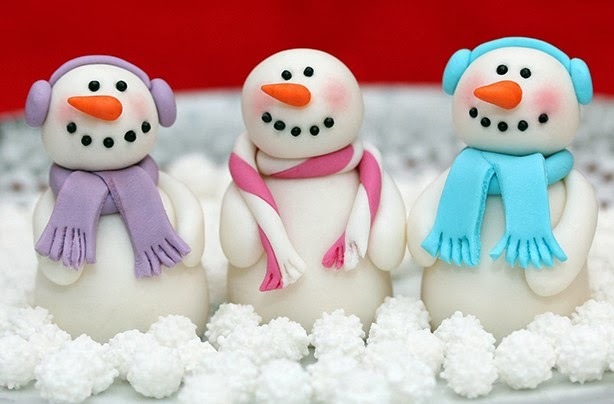 Share Inspire Motivate : : Home Bakers Doing it For Themselves! Good To Know Tutorials are definitely a favourite. There are a wealth of recipes and instructions and definitely worth book marking. Here's my personal 5 favourites as reviewed by me. Simple Ingredients Tutorials are really easy to follow. 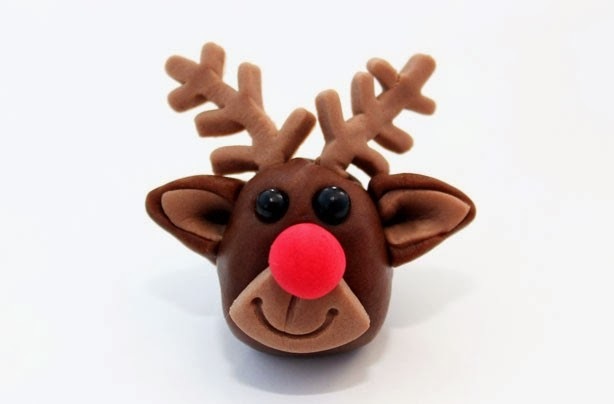 The step by step photos helps the reader create this little fondant dear with ease. This cake decorator is definitely worth book marking. 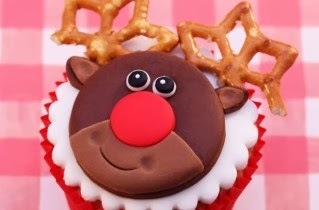 Rudolf the Red Nosed Reindeer has scored a top rating as reviewed by me. 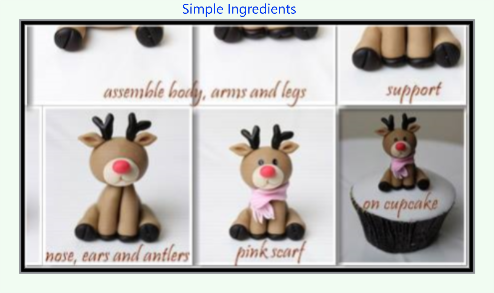 Lovely Tutorials is a Russian website with exactly as the name says "Lovely Tutorials" on review of their site, I found the best Santa Cupcake Topper on there. Isn't he the cutest! The communication barrier can easily be gotten past, using the old saying "A picture tells a 1000 words"
Sharon Wee Creations Polar Bear Tutorial is featured on Polka Dot Made and I must say when I reviewed this I was in absolute awe. Every detail is covered by professional photography and easy to follow step by step instructions. 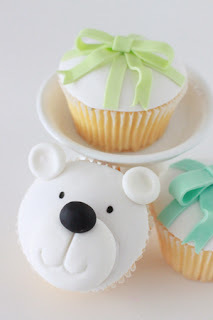 If you only choose one tutorial today I would pick this special little guy! 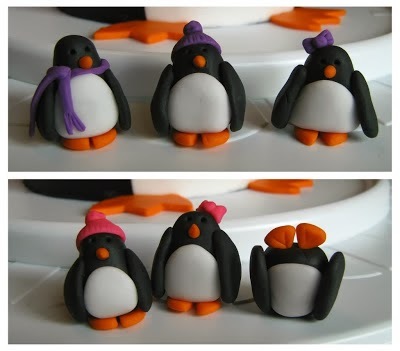 Fowl Single File presents the most adorable fondant gumpaste penguins I have ever seen. A comprehensive set of photos, list of ingredients, instructions and informative narrative earn Fowl Single File their well deserved high rating review. 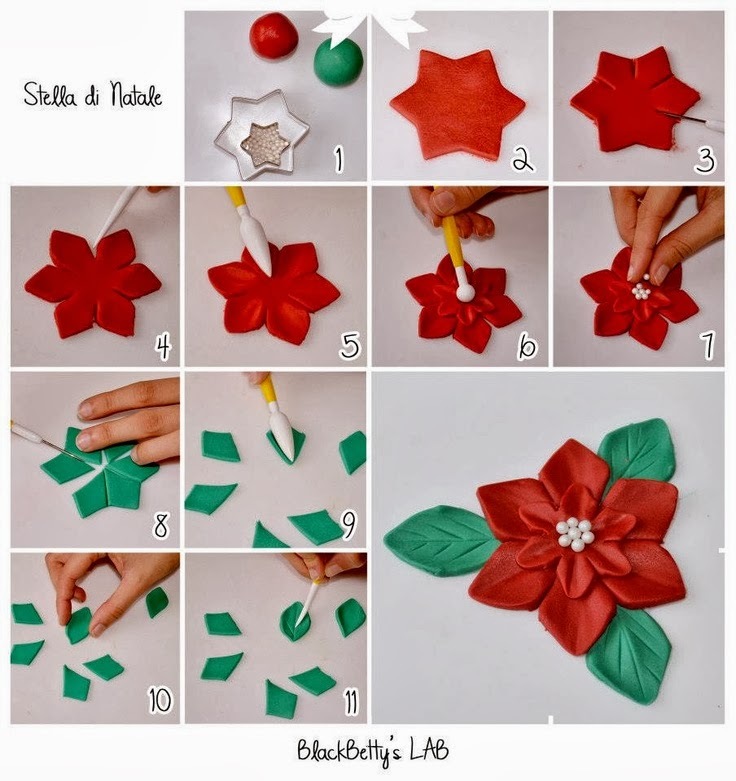 Black Betty's Lab has so many tutorials posted to her facebook page, it was hard to review and choose the right one. To add variety to the Christmas theme I thought "Stella di Natale" was an easy to follow yet very effective Christmas flower. awesome tutorials in so many different themes! 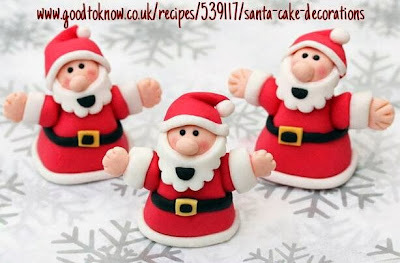 .Sweet Creations was next to be reviewed in my quest for the best Christmas Fondant Tutorials and there was no way I could go past this little Christmas Minieon! Got to be the cutest Christmas movie themed Cupcake Topper I have seen! 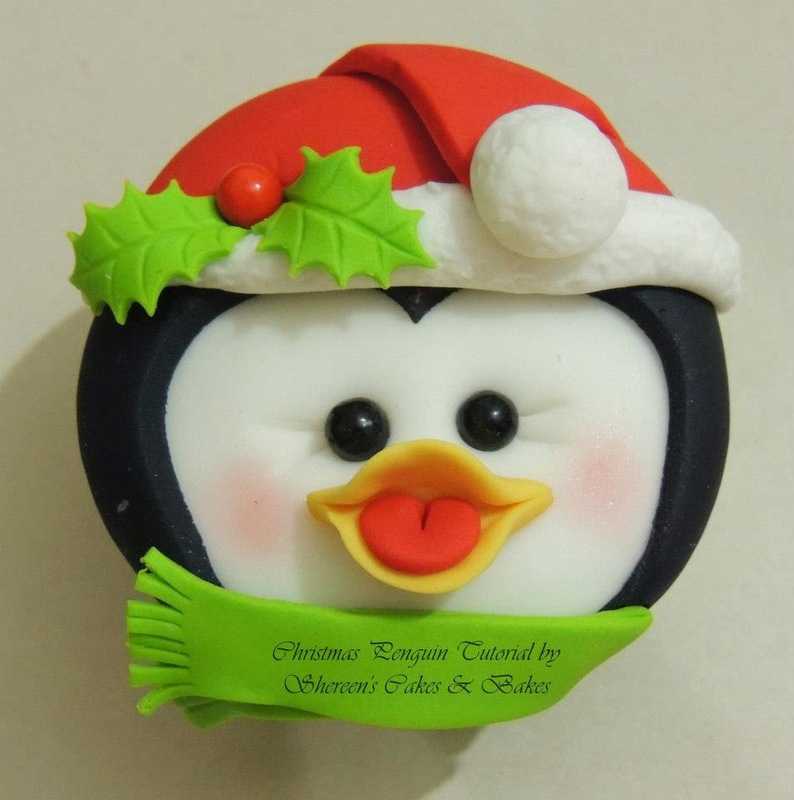 Shereen's Cakes & Bakes really excited me with this "Christmas Penguin Cupcake Tutorial" She has designed the most adorable fondant penguin, he looks too good to eat! Shereen is definitely a case of last but most certainly not least! Be sure to visit all the fabulous tutorials reviewed here today. You will not regret it. 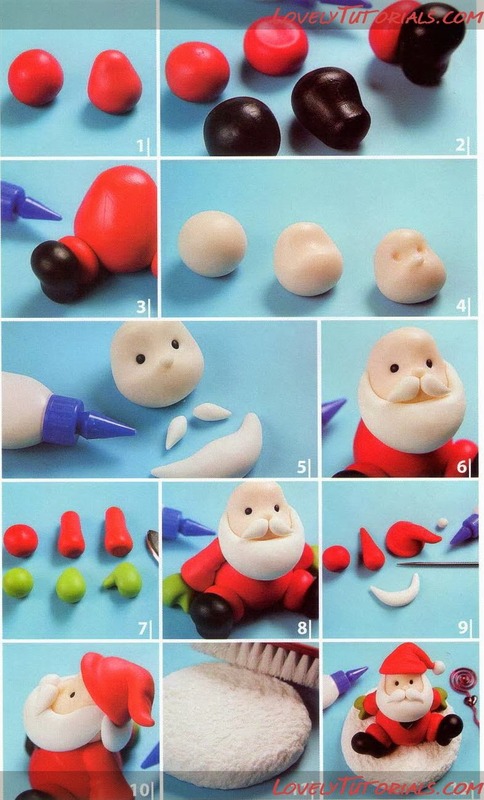 If you have a go at these or any other of the wonderful tutorials floating around on the web, upload a photo to our facebook page so you can show off your handy work and don't forget to let the original teachers know about it too!